I am going all out tomorrow with my temple exploration. I hired a tuk-tuk driver today named “Tea”, but I call him T for short, to take me around Angkor for a couple of days. We sat for a few minutes this afternoon and went over the itinerary, making changes and perfecting it for maximum temple exposure. Plus we haggled price. He is picking me up at 5am. Yep, that’s in the wee hours. Thank you jet lag! On a non-jet lag day that kind of early rise would be almost impossible. With jet lag, I am already up and about, showered and ready to face the day. At 4:45am I looked out over the veranda into the pitch darkness. Silhouetted against the backdrop of the river was T; yawning and waving me down. Sunrise over Angkor Wat was the purpose of the early departure. With 3 day pass in hand I was dropped at the main gate to Angkor Wat, walked in complete darkness over the wet and slippery stone bridge. This spans the moat that surrounds the temple. It is a good 250 yards long if it isn’t more. Navigating the bridge in the darkness was challenging and if you went too close to the edge you were quickly reminded that handrails were a thing of the future and not part of the overall Angkor Wat design. Keep in mind that the image you are building in your mind of me, walking solo across a bridge to one of the worlds most iconic sites is so incredibly inaccurate. Thousands of people joined me. It was like the march on Washington DC in the 60’s. Everyone vying for the best photo depicting the sun bursting out and enveloping the five spires of Angkor Wat. There is a type of reflecting pool, two actually, that sit directly in front of the temple and therefore make a perfect photo foreground. As the sun began to rise and with anticipation palpable, the clouds came rolling in. People standing hundreds of feet away were burning flashes every few seconds attempting to create and capture light that didn’t exist naturally. When the sun did break through and Angkor Wat was bathed in burning orange it was certainly a spectacular site and well worth the arrival time. The clouds then opened up and a downpour of monsoon proportions descended from the heavens; saturating the entire scrambling crowd. It was like watching wildebeest on their great African migration. Next stop was Angkor Thom and the unique Bayon with its 216 smiling faces. It is an even larger complex than Angkor Wat and in my opinion more incredible. It is a photographers dream. So many ways to capture an image and move light around. One of the most fascinating elements of the temples is the intricate reliefs carved into thousands of the exterior stones. I am not going to go into too much detail about each and every temple. I figured you would rather see the pictures anyway. If you scroll over an image it will give you the name. Click on any image and it will open to full size and you can scroll through the picture carousel. On day one T and I visited seven temples in seven hours. No breaks, just full on temple exploring. By the early afternoon I was beat and so was T.
My impression of Angkor Wat after the first day was one of being impressed. I felt though that the temples of Pagan in Burma equalled them in awe-inspiring wonder. I also felt that even though Angkor Wat is the proclaimed premiere temple in the world I kind of have a bias towards the Swedagon in Yangon; also in Burma. Day two started out at a much more civilised hour. By 9am I was chomping dust as the tuk-tuk sped down the main artery to Angkor. We were heading further afield today and taking in some temples outside of the archeological park. The first one, Preah Khan, is gorgeous. It along with Ta Som, and Ta Prohm have huge trees that have overgrown the temple walls; securing them in place. Another unusual temple was Banteay Srei. Only here were the bricks made of red rock instead of the grey black found in all the others. Banteay Srei is 30km out of town and on the way back I stopped at the Cambodian Landmine Museum. An American ex-military man gives tours there and helps clear mine fields in small village area of Cambodia. After the Vietnam war was over in 1972 the US soldiers went home. Unfortunately the residual effects of the war continues to blow people up. Several die each year and many more are maimed. One of his points was that if the villagers suspect there is a mine in a field it doesn’t matter if there are 500 or 5; they aren’t going to farm it. When the minesweepers can clear a plot of land the greatest effect other than safety is that the village now has more viable farming land with which to earn money and feed themselves. The museum also schools and houses 38 children. It is estimated that to clear all of Cambodians 5 million unexploded ordinances at the current rate, will take 300 years. Another seven hour day was rapidly approaching and as we pulled into the entrance of the last temple on our marathon two day effort I asked T what was different about this one. He laughed and dropped his head. He was as exhausted as me. I am not sure if the early rise, incredible humidity, and subsequent exhaustion of day one had led me to be only moderately impressed but certainly after day two I was blown away. The scope of the area and the amount of temples open and unopened is staggering. I have just recently started blogging about my trips in India. Reading your blog has given me a good insight as to how a blog is to be structured and how to make one feel as if he is actually travelling in that place(in this case Angkor Tham-Cambodia). Thank you and keep travelling ! Wonderful painting with your words, Tim. I could just imagine what it was like and then there were the great photos confirming what you had said. I love the reddish reddish Banteay Srey and the unique Angkor Tree and … well, all of them! Beautifully written post – talk about an amazing way to start the day! Sounds like Cambodia is an interesting place to visit. The thing that’s crazy to me is that there are still active mines 43 years after the war ended. This is the case all through Indo-China unfortunately. Another great blog about your travels. The descriptions of the temples were amazing. Tim, your description on the bridge was so incredibly vivid. Then I scrolled down and saw the picture which really matched what I had envisioned from your words. Very powerful. You travel so many places that I have only heard about in passing. It is very neat to experience them through you. As a side not, have you ever tried melatonin for jet lag? Thanks, Tim, as usual, for bringing your trip to life with your words and visual images. 7 temples in one day? That’s more like a marathon. It’s unbelievable that 5 million land mines are still live. How could they have even dug that many holes to plant them? And they continue to destroy lives. Thanks Jeannette. The mines are not the ones where a hole is required. What happened was the planes would drop huge bomb-like canisters. Inside were dozens of small baseball sized mines. The canister would open several hundred feet above the ground and the small mines would be dispersed in every direction. Some would explode but most wouldn’t. The way they explode is determined after a certain number of rotations. If the small mine did not rotate enough it would implant in the ground unexploded. Years later kids would find it, throw it around, it would rotate and blow up. This continues to this day. Sad. Ah so beautiful – I really want to visit Cambodia to experience these temples in person. Great photographs btw. It looks lovely! I’ve never been to the Angkor Wat temple but now I want to. I’ve only been to some Mayan temples in Belize. Breathtaking! Tim I thought you were going to tell us the little girl in the picture stole your wallet! You made it through your Temple tour unscathed…I’m amazed! I love the photos! Man, it’s about 5 years since I’ve been to Angkor, and I don’t remember it being that spectacular. Maybe its your photos or the fog of time, but looks like I may have to give it another chance. nice photos. 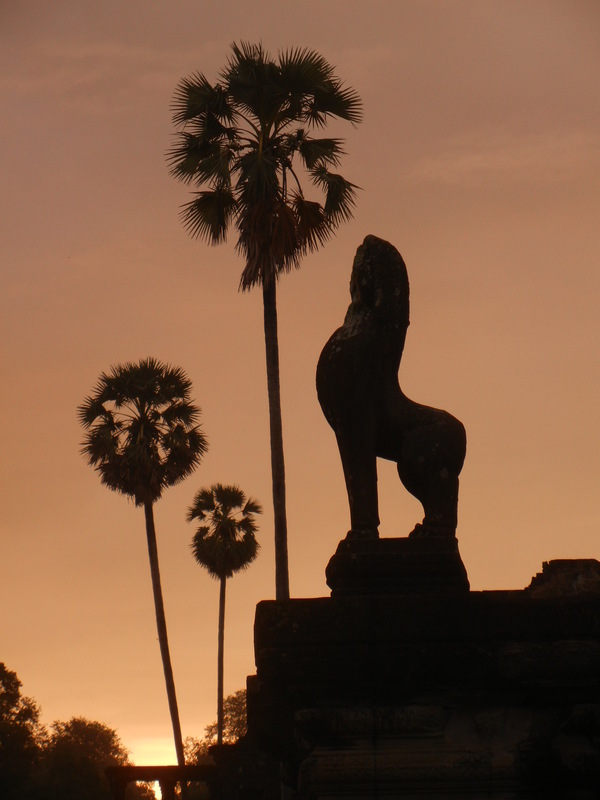 Lovely shots, brings back lots of good memories from my own trip to Angkor, only wish I had had a decent camera back then! I ended up buying a mirrorless camera as they have all the same capabilities as an SLR but are relatively compact so great when traveling. Love all the Angkor detail, but would love to see more of you and Tea interacting as well. My own one-on-one guided tour includes a horse ride through monument valley. Turns out my guide couldn’t leave the reservation or he would get arrested, but he did also have some great stories about his grandpa who was a medicine man. I am planning a trip to Monument Valley this year Jeri. If you still have his name I would love to get in contact with him. Sorry about the lack of Me and Tea photos; didn’t think of it at the time as there was so much else to take in I guess. I can’t recall our guide’s name, but there’s a good chance he still might be leading rides for the family. I think it was the only rent-a-horse place on the reservation if I remember correctly. Here’s the link: http://www.monumentvalley.net/horse.htm. It was unlike any other “organized” trail ride I’ve been on. Our horses were only rustled up once we got there and then on the ride the guide was okay if we galloped, which you never get to do on the rides I’ve been on in national parks. His life stories were definitely a plus. Should also add we did the Teardrop Arch ride. Really amazing Tim! I will admit I stumbled a bit and chuckled at your description of the crowd crossing the bridge as a 60s march in DC which clearly dates me. 🙂 I am sorry to hear about the left over mines, Sadly that is a fairly standard bi-product of any military conflict regardless of which armies happen to be on hand at the time. Loved the images and the way you describe your journey. The mines left behind are certainly a very sad bi-product of war and one that keeps on destroying decades after the initial conflict is over. I am glad you enjoyed the writing and the photos. The sunrise picture from Angkor is amazing. I think it is worth getting up at 4:45a.m. It is nice to have T as guide and driver. You have visited a lot of places in couple of days. It really makes tired and at the end things start appearing same and not much appealing. These is very old building in Kashmir, it is told to be the oldest Buddha University in sub continent, the stones have same color, this post remind me about that. I was wondering how people many years ago, carved the stones so beautifully and still with so many facilities nothing can match their skills. Simply amazing, perfect and worth visiting place. Tim, this story reminds me of my own predawn walk to view the sunrise half a world away at the ruins of Tikal in Guatemala. Luckily I didn’t have to fight crowds or a rainstorm. I’m sure the crowds and poor conditions made it seem less than idyllic but you got an amazing sunrise photo for your efforts! I’m sure visiting so many temples in such a short time was daunting. It’s a shame about the mines… the recent history in that region is just heartbreaking. The sunrise picture from Angkor is absolutely stunning. The color and the reflection might actually be worth the 4:45 wake up call. I think you may be right Ken and thanks. I was pleased with that one. Tim, as always when reading your posts I want to pack a bag. Thanks. Great mission you were on and so wise to have hired a guide/driver. I’ve heard about the herds crossing to catch the mornings light but you were right it was well worth it. Beautiful pictures. I know now to plan more than two days in the Angkor area once I finally make it there. Thanks. What a whirlwind two days this must have been. Your photos are beautiful. Is there any one temple that you would specifically return to see? The Bayon was by far the most impressive in my opinion. Wow, what an exhausting but incredible two days. That first shot is incredible – lucky you managed to escape from the crowds to capture it. Wonderful, fantastic post! I am a morning person, so the hour would have delighted me. And I had to laugh at your nickname for Tea LOL. Very scary walk with no handrails, but I am amazed at the number of people you shared it with at that hour! But that photo was sure worth it! Spectacular! Very very sad about the mines that still exist 😦 But I thank you for another great narrative and photo collage of theTemples of Angkor. Simply spectacular! Thanks Jacquie. Yes, it is very sad about the mines in Cambodia and other countries in IndoChina; for them the war never stops. Tim, what imagination you have …” It was like watching wildebeest on their great African migration”, really, I don’t think to many others would have thought of it that way, just super. There is just so much interesting in this post – the picture of Angkor Wat was amazing, the one further down of the little girl in the park was so cute. I never before thought about all the unexploded land mines before and about people continuing to get hurt. I love these posts, they always tell or show me something I didn’t know before. I really appreciate the comment Lenie and am glad you find them interesting. I am going to admit it – I am envious of your holiday experiences! You take in every inch of the culture when you travel which is the way it should be. Walking in darkness over a wet and slippery stone bridge and visiting seven temples in seven hours sounds like a daunting travel experience and certainly an unforgettable one. It’s such a shame about those mines. I visited the Falkland Islands in 2008, where there are also many uncleared mines. The remaining mine fields have all been identified and fenced off, however, and there have been no human injuries, as a result. At least that is what we were told, at the time. Your photos are exquisite. Yes, the mine issue all through Cambodia, Laos, and Vietnam is a huge problem. When I was in Laos one expert estimated as many as 2 million unexploded ordinances remain unaccounted for…a staggering number made worse because some were designed to look like pineapples or balls…something a child would play with. 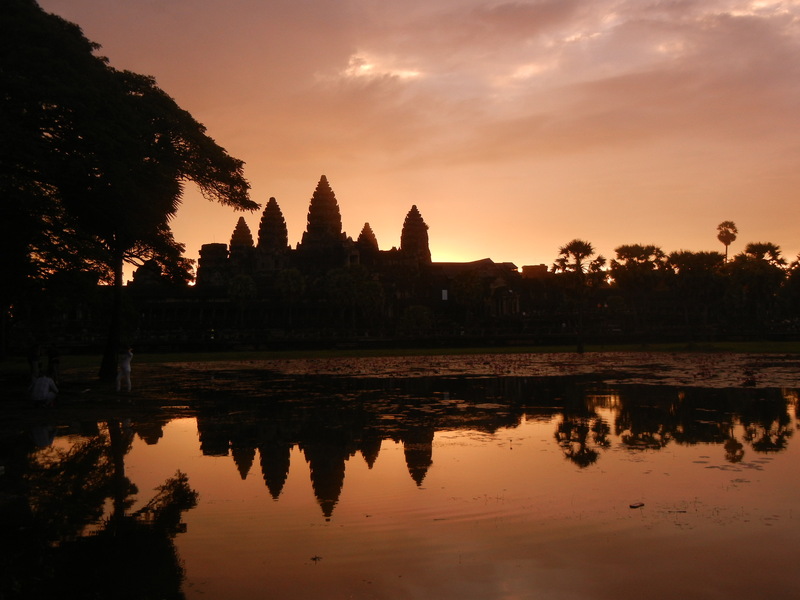 It sounds like you had an amazing experience at Angkor Wat. Your pictures are beautiful. The place looks awe-inspiring. I’ve never been a morning person, and this makes me wish I was one. 😉 So pretty! What a great story. That’s terrible that the people have to live in fear of mines. Thanks for sharing. It is the same in Laos. They estimate 2 million unexploded mines lay around the countryside. Makes me want to pick up and head there right now! Great post and photos! 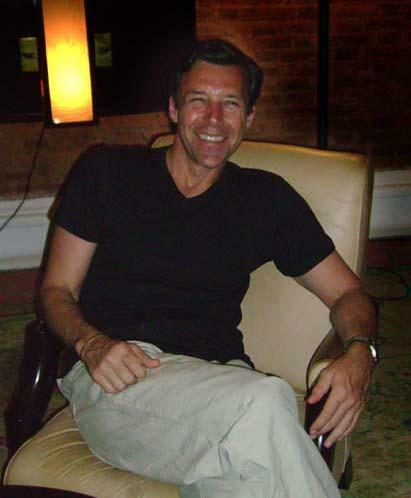 You have a really beautiful style to your writing and the whole experience sounds wonderful. Adding to the bucket list. I loved Bayon and Banteay Sreay but the one which will remain firmly entrenched in memory is our walk through dense forest and rocky paths towards the 1000 lingams embedded in the stream at Kabal Spean. The entire 1 1/2 kms stretch had an almost fantastically eerie touch to it. There is a lot to love at Angkor and I will definitely return. Food has a way of doing that. Thanks for the compliment. Much appreciated. Thanks Tomas. Loving this country. It is really something special.